A classic favorite, cheddar broccoli soup was one dish I missed after going dairy-free, so I worked hard to come up with this deliciously satisfying vegan version that is loaded with flavor by the spoonful. What makes this soup so delicious and healthy is that my Creamy Vegan Cheese Sauce is a main ingredient. 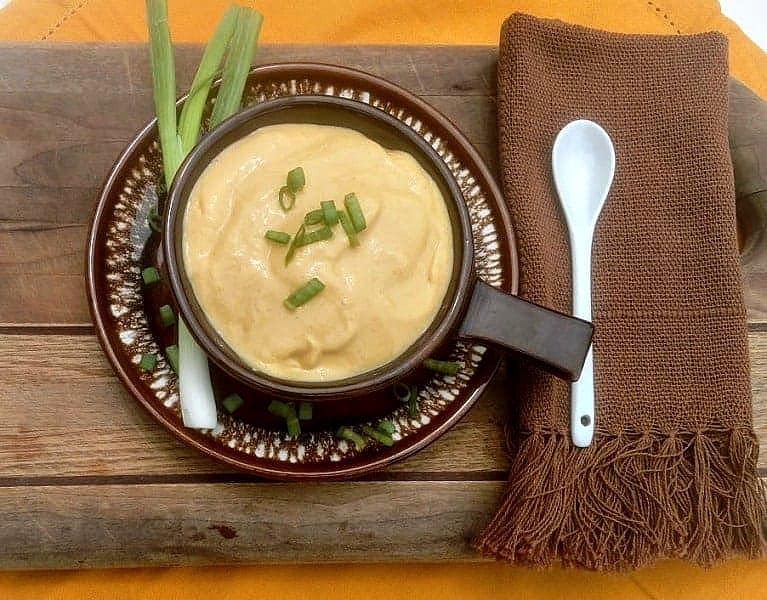 Vegan cheese sauce can be used in many different recipes. It taste AMAZING and is my top recommended and shared recipe of all time! Oh my gosh! I have FINALLY found a plant-based cheese sauce that I like! After the last failed attempt, I had decided that I was not going to try any more, but then decided to give yours a try and I’m SO glad that I did. It is delicious. Broccoli is loaded with fiber and protein. Broccoli is low in calories, with only about 27 calories in a 1/2-cup serving of the cooked vegetable. It also contains respectable amounts of vitamins and minerals. 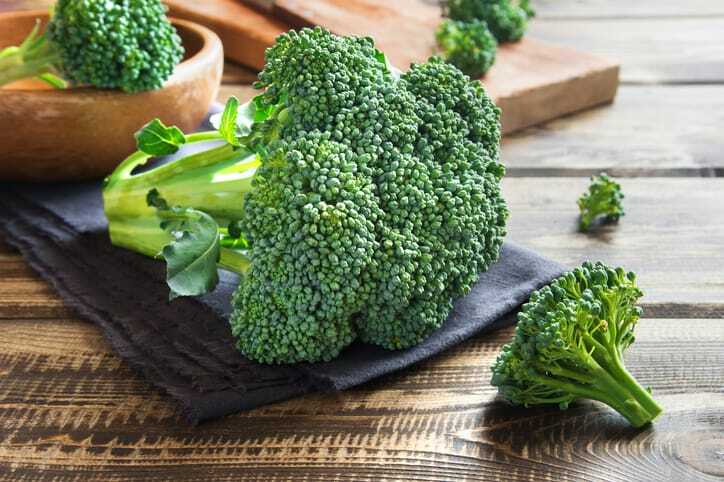 A 1/2-cup serving of cooked broccoli provides 50.6 milligrams of vitamin C, 110 micrograms of vitamin K and about 1,207 international units of vitamin A.
Vitamin C is needed for the growth and repair of your body tissues, while vitamin K plays an important role in blood clotting. Vitamin A is essential for good eyesight. Broccoli is rich in beneficial minerals, including potassium, with 229 milligrams in a 1/2-cup serving, and calcium, with 31 milligrams per 1/2 cup. Made with broccoli, carrots, onions, garlic, and spices this soup is loaded with phytonutrients and antioxidants. Veggies in this soup help to boost immunity and promote health. I make a lot of soups, and this cheddar Vegan Broccoli Soup is my husband’s absolute favorite! 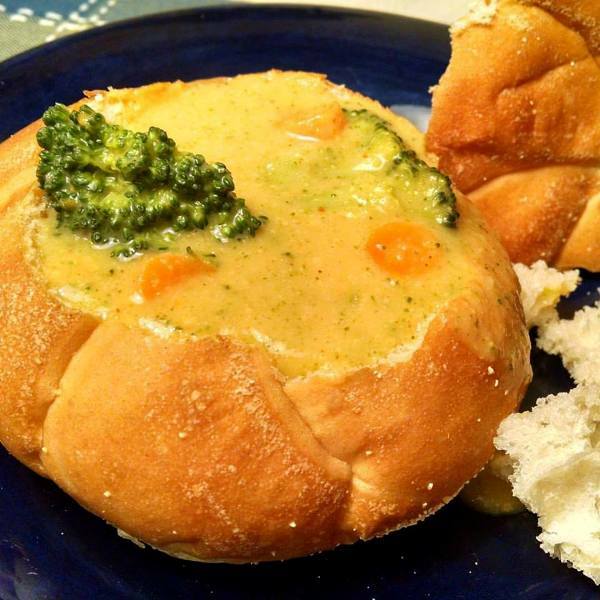 Warm up with this healthy, nutrition-packed bowl of Vegan cheddar Broccoli Soup! 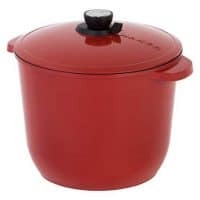 In medium pot, boil potatoes, carrots, and onion in pot with enough water to cover well and allow to cook until veggies are tender, approximately 15 minutes. Cooking time will vary based on how small the veggies are diced. When veggies are tender, drain and place them in blender. NOTE: reserve the broth, and add 1 cup of it to blender. Add all the remaining ingredients, and blend until smooth. 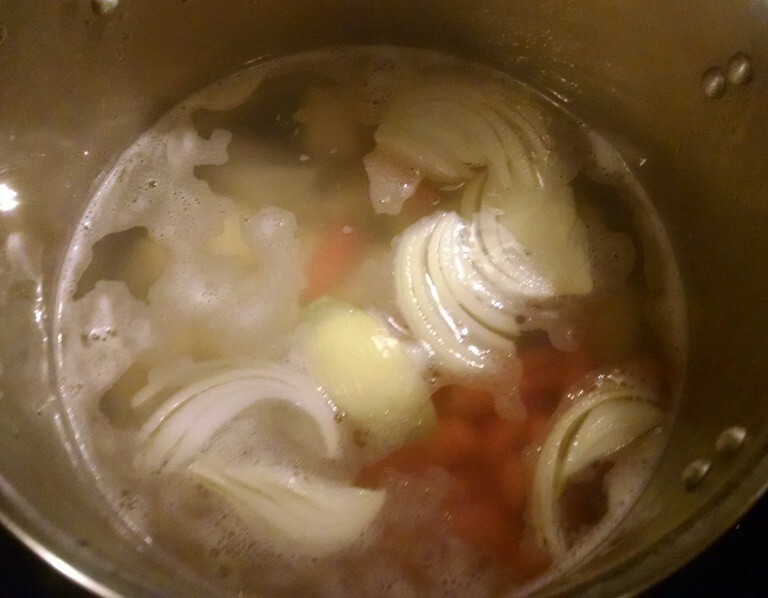 Reserve the rest of the broth from veggies to use in soup. 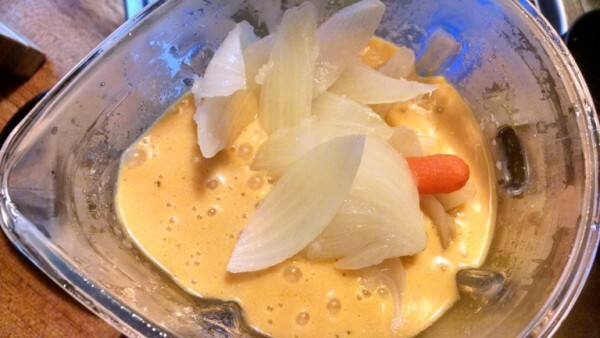 This 'cheese' sauce is excellent and can be stored in the refrigerator (when not making this soup recipe) and used for many things. It makes approximately 2-3 cups. 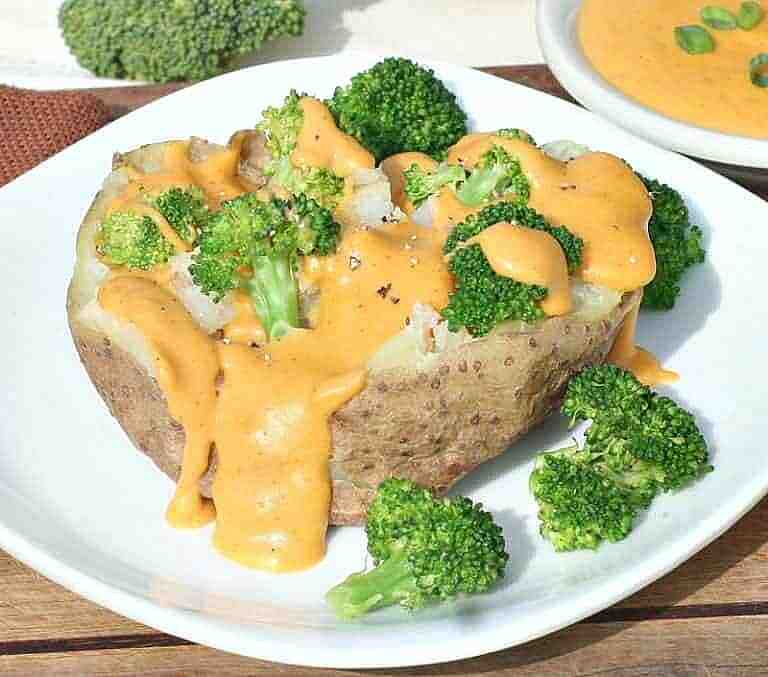 Including a baked potato topping, over steamed broccoli, with salsa for nachos, and so many more options! This picture is a loaded baked potato. For now, just leave the cheese sauce in your blender. You will be adding soup ingredients shortly. 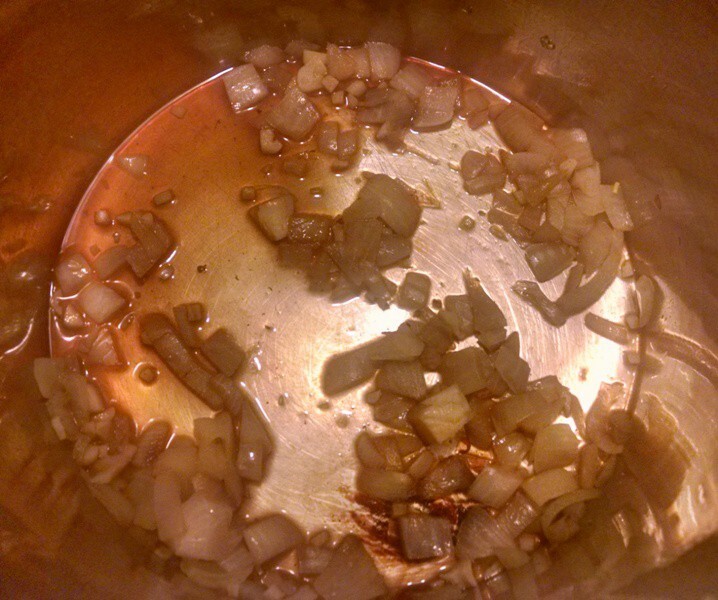 In large stock pot, saute onions and garlic in approximately 3 Tbsp. water. 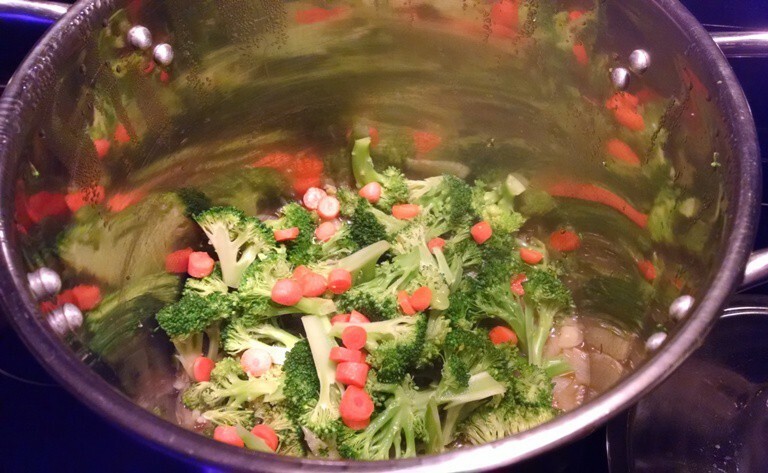 Add 2-1/2 cups water, broccoli florets, and carrots. Cover and cook on medium heat approximately 10-15 minutes, until slightly tender, but still bright green. Don't overcook to mush. 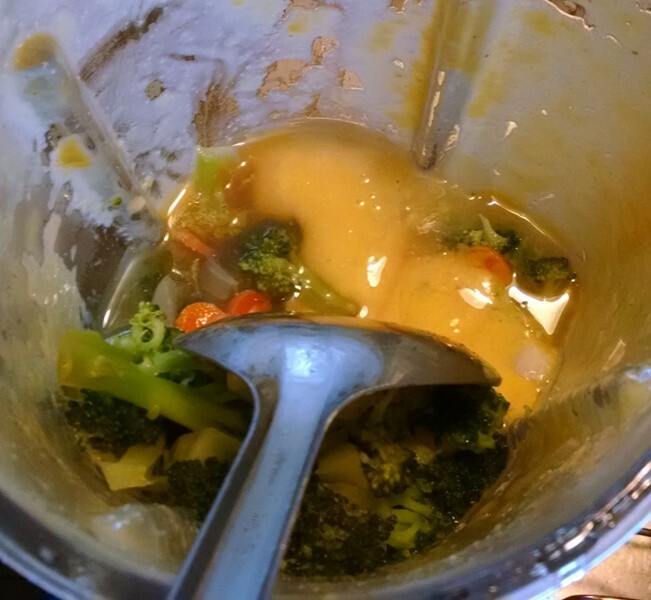 Remove from heat and put 1/2 of the veggies in blender with the cheese sauce (leave the other 1/2 in your pot, but not on heat), plus 1/2 cup of reserved veggie broth from cheese sauce). Blend for just a minute or less. 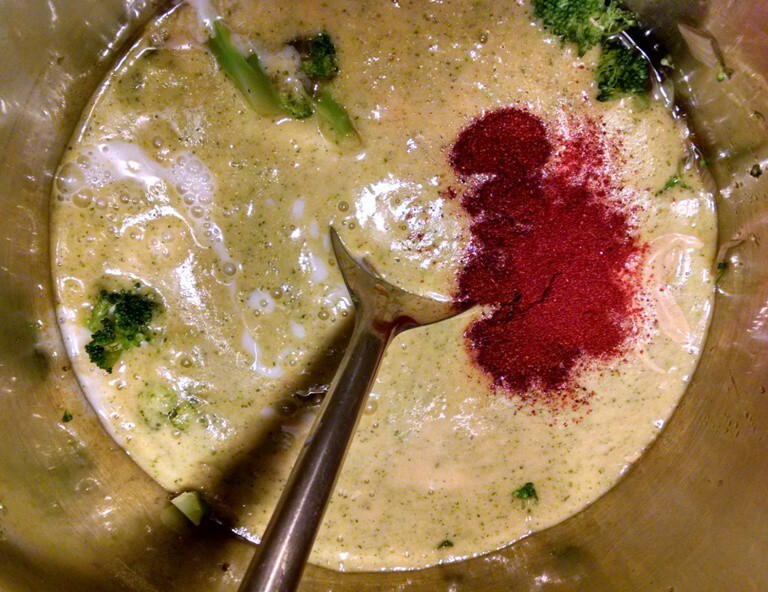 Pour blender mixture into pot with other 1/2 of the cooked broccoli and veggies. Add almond milk, 1/2 cup water, Dijon mustard, chili powder, salt, pepper. Place back on the heat and allow to cook approximately 10 minutes on low heat. Remove and serve in bowl or in hollowed out crusty bread. A delicious way to promote health! An all time favorite when I ate the SAD, so I have to try this one!! I will report back how it turns out for me! Thanks for this recipe!! i really liked this recipe and it tasted great! i followed the directions and this seemed way to thin and “watery” Is there a mistake on how much water to add or is this the desired consistency? I am grateful and excited to have found your website. I am literally fighting for my life, dealing with many health issues due to obesity and diabetes. I recently began a plant-based diet and your recipes are so delicious. I’ve already made a few of them and shared with my friends. 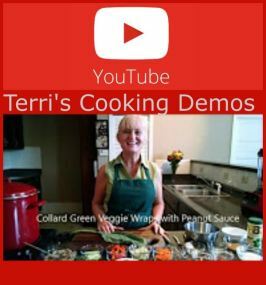 Everyone raved about your recipes and wanted your website and contact info! I’m definitely making this soup and will let you know how it turns out. You’re a blessings to so many. Thank you so much for all you do. Steno, WOW! What an encouragement you are! I am so glad you found this site and are finding the recipes helpful and delicious. 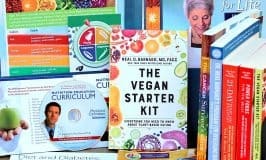 Welcome to the plant-based health journey with the rest of us–so happy you are here! 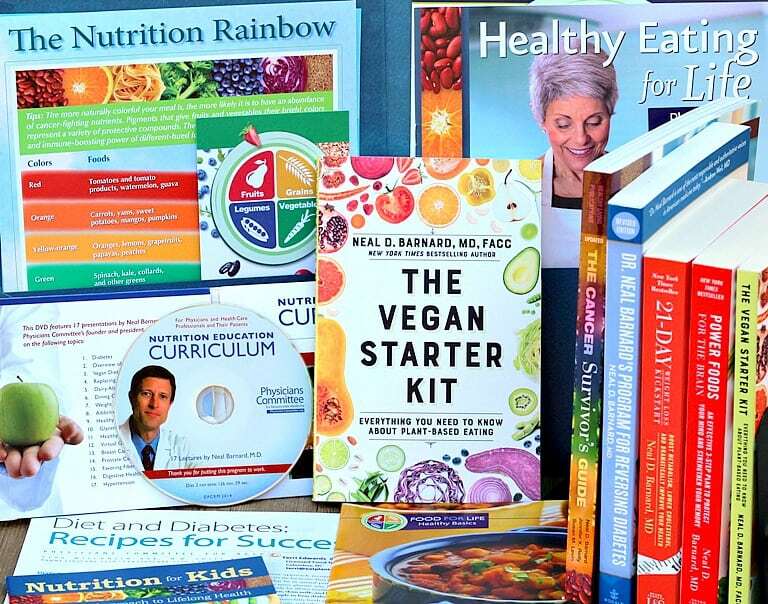 Please stay in touch and let us know how your health improves and how the recipes are going for you. Hang in there; it only gets better from here! The broccoli that I got at whole foods has these long, thick, stalks (small amount of floret at the top) – wondering if you have ever cut up the stalks real small and added those to the veggie mixture as well? I hate to waste them and they account for probably half of the $6 I spent on the bunch!! Terri, it appears the recipe still needs a bit of editing. But there has been no indication to remove and reserve any of the cheese sauce. So, how much to leave in the blender for the soup – to start with, before adjusting by adding more? It was easier to see this once I had copied the text only. I look forward to making this recipe. Thank you! Okay, I think I have it all fixed now. Recently, I have been toying with this recipe based on someone’s comment that the cheese sauce only made 2-3 cups. I always make a double-batch of the cheese sauce, so had forgotten how much one batch actually makes. Since this recipe is making only one batch, you’ll want to used the whole thing in the soup. Hope it turns out terrific for you! Amazing! We loved it. Nutritional information? So glad you loved the soup! For nutritional information: If made with cashews 6 grams fat, 10 grams protein, 27 carbs, 115 mg calcium. 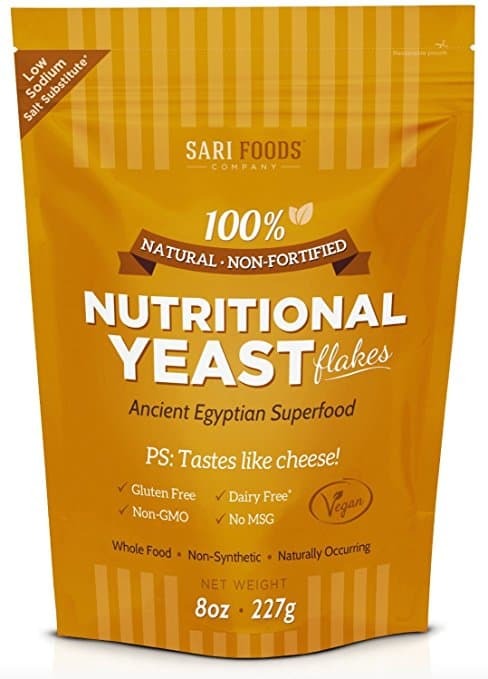 If made with white beans 1.5 grams fat, 9 grams protein, 29 carbs, and 126 mg calcium. I absolutely love this soup. I ate two bowls and poured it over rice. Delicious! I also am so excited to have the cheese sauce recipe. It is very good. I made it with the white beans so it is less fat and it is very tasty & satisfying. It will be so good in other recipes and put on foods such as potatoes and baked tortilla chips. Thank you. Hi Terri!? I just made this soup today. First of all… That cheese sauce! Omg!!!!!! I did make it with cashews and it was sooooooooooo good! I am curious to know Terri do you make the bean or nut version the most?? I want to try it with the beans next. The soup was delicious but did appear a bit watered down. And I did not add the reserved 1/2 cup of potato/carrot veggie water or the 1 cup of water it said to add in the text of the recipe. I just blended half of the veggies and added back to the pot with the broccoli cooking water. Recipe text was a bit confusing for me. I did pour it over rice… Added siracha and it was delicious! Thank you Terri!!!!! 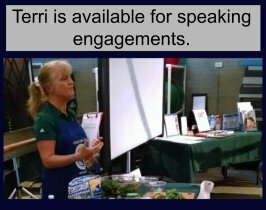 Sheri, I am so glad you liked it! I have adjusted the wording a little bit, so hopefully that will make the directions a little more clear. When I make the cheese sauce, most of the time I do half-beans and half-cashews, so 1/4 cup of each. We love this stuff! I made the cheese sauce using half bean and half cashews! Just as good! Thanks for replying to my comment Terri! Now … What is my next recipe of yours to try?? Lol!!! Soo many recipes… Soo little time!! Lol! I want to make them all!! Hi, would you know of any make ahead freezer type meals? I am looking for a good Lasagne recipe as well. Yum! My whole family is in love! With the wateriness- in step six, I drained all of the liquid from the cooked veggies before adding blended cheese veg mix and other liquid. I’ll probably not add the extra water next time. But man oh man! This is truly delicious, a super kid pleaser, and the cheese sauce alone is a sheer miracle! Thank you so much! OMGosh! What an amazingly encouraging comment to wake up to this morning. I am thrilled that you love this soup. Thank you SO much for the kind words and fabulous feedback. You just made my day! I came across your recipe today, and I had a feeling that it would work, even though I no longer trust every recipe I find onine. I made it for dinner and the cheesy sauce is very good, and so versatile. Yummy stuff. When I cooked the sauteed onion+garlic and broccoli and carrots, it smelled amazing. Still I had a fear that the sum may be lesser than it’s parts. The soup is let’s say 7.5/10, but maybe because I didnt use all the cheesy sauce, as I kept some of it aside for other stuff. Thanks for your hardwork and for sharing! I am SO glad that you liked the soup. The no-cheese sauce goes on everything around my house–pizza, nacho, baked potatoes, and really everything. I hope it becomes a stable in your house too. Thanks for the positive feedback! This recipe is absolutely incredible!!! I used frozen, organic broccoli. 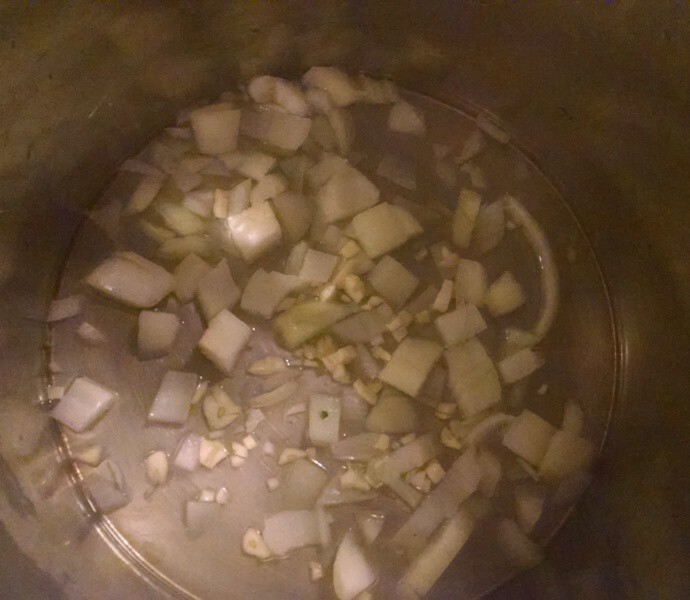 Put an extra bag (10oz) of broccoli in the soup after it was complete to give it more consistancy. I will definitely make this again! That’s terrific! I love that you added more frozen broccoli. Great idea!